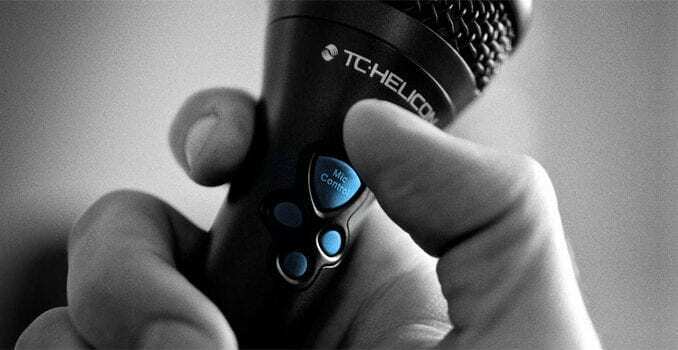 In this article we’re going to be talking about the best Autotune Microphones/Microphone Controllers that are available to purchase in 2019. However, let’s briefly touch on what autotune is, and what exactly “Autotune Microphones” are. But, what exactly are Autotune Microphones? Autotune is a vocal effect that is widely used in modern pop music. It has been so widely used, other genres have also adopted the functionality to help create new vocal sounds. The original use for autotune was in studio, to slightly nudge a singer’s vocal take into perfect pitch, after-all not every singer can stay in pitch 100% of the time, they can often be slightly flat or sharp, but to save the vocal take, autotune was able to help. Autotune then became available for live use, with singers being able to use live Autotune Pedals/Processors to correct their vocal performance in real-time. Well, Autotune Microphones technically do not exist, however, what does exist is an Autotune Microphone Controller. These a microphones that have the functionality to integrate directly with your vocal effects pedal, which in this case is your autotune effects unit, so that you can turn the autotune effect on/off by clicking a button on the microphone itself… sounds great right! We’ve featured a list of the autotune pedals that are able to integrate with these microphones towards the bottom of the article. The major advantage of this model over the previous one (MP-75) is the visual backlit display that shows the singer what exact preset they have selected, this is especially useful as it can often be hard to hear yourself on-stage, with a band playing around you. Not only this, but you don’t want to be worrying about which exact preset you’re on, whilst on-stage, as this would only take away from the authenticity and charisma of the performance. According to other reviews of the microphone, besides from the upgrades, it has similar functionality to the previous model and therefore is compatible with all of the previous model’s effects pedals that were around when it was released, these include: VoiceLive 2, VoiceLive Touch, VoiceTone Singles, Harmony-G XT and the Create XT. 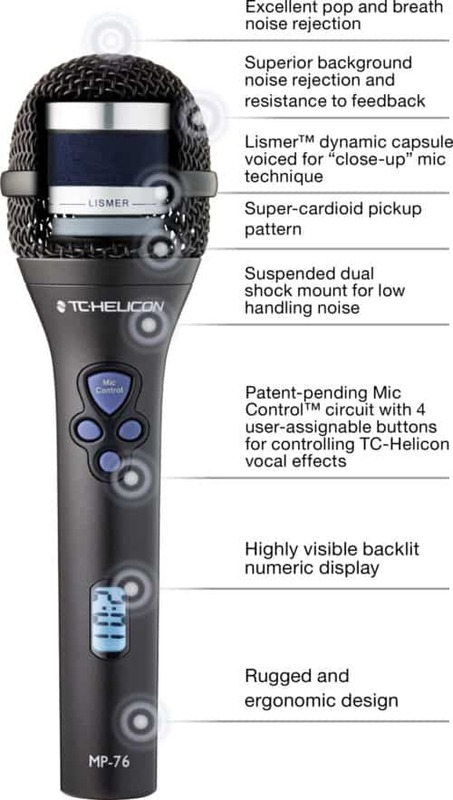 The previous model TC Helicon MP-75 Microphone is still a fantastic option for those who are on more of a budget, with this microphone costing $99.99 as opposed to the MP-76’s $179.99. But I would recommend the MP-76, knowing full well that you have enough to worry about whilst being on stage, without wanting to second-guess the preset you’ve currently picked.